We see that this administration, along with the state-controlled media, is relentless when it comes to lying to the American people in an attempt to sway the people to see things the way they would have you see things. As I wrote in a previous column, we can see that Barry likes to use the Saul Alinsky "Rules for Radicals" methodology of causing the enemy to believe that there is a lot more of them then there really are. A recent example took place just this week as Obama spoke to a nearly empty Pennsylvania basketball venue. Coming from a non-media individual, the panoramic picture of the audience shows a section in the center of the podium with a group of people. When the state-controlled media reported on the event, it magnified the center section while omitting what they did not want you to see, namely the empty seats around about. In other words, he does not have the support he claims to have. This year's elections also demonstrated that. We also know that Obama's allies are America's enemies! His support comes from communist nations, as well as the enemies Americans tolerate within. Now we are witnessing this administration's appeal to the illegals by some contrived, unconstitutional "executive order." Former Sen. John Glenn stated, "Why, if we had to do that (follow the rule of our Constitution), we could not pass most of the laws we enact around here." America, where is this administration deriving all of its authority? We know it is not constitutional authority. How do we know that? Because it is not constitutional! Nor have the people given this administration the power to tear down the Constitution so they can reconstruct it in their own image. If the people actually believe that this pretended authority, which is daily on display, is legitimate, then Obama and his people will act out accordingly and do whatever you let them get away with. And doing it they are. The next two years will be the most dangerous this country has ever witnessed due to ignorance, tolerance and apathy. Voting is a part of what is required, but only a part. This administration has taken it past voting. Regardless of what Americans have done in response to the tyrannical actions of this criminal, I ask America, how long will you falter between two opinions (1 Kings 18:21)? "The system of justice will either protect citizens from tyranny or be one means by which tyranny is exercised over them. A just society rests upon an equal application of the law to each and every citizen; it protects the rights of individuals regardless of the inconveniences caused thereby. It is of inestimable importance to the happiness and security of the people that justice be administered strictly, according to the established forms of the law." 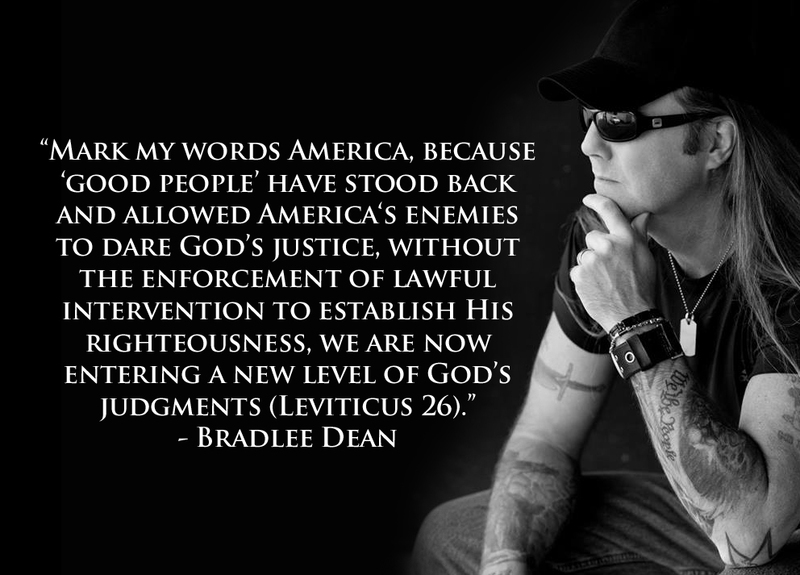 I believe that America has now gone from God's chastisements to God's judgments (Leviticus 26) because of its continual state of rebellion through tolerance and apathy. (Let the other guy do it). Mark my words, America, because the "good people" have stood back and have allowed her enemies to dare God's justice, without the enforcement of lawful intervention to establish His righteousness, we are now entering a new level of God's judgment. Video: Respect the office of the President!